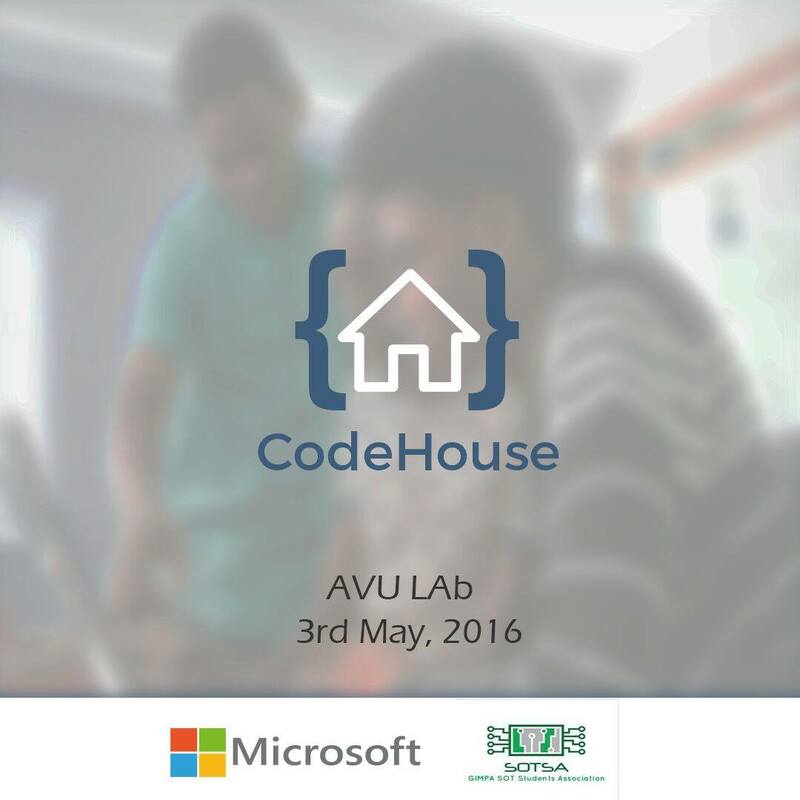 CodeHouse: Come learn how to code mobile apps using Xamarin tools in Visual Studio. Microsoft Students Partners (MSP) and the School of Technology Students Association (SOTSA), of Ghana Institute of Management and Public Administration(GIMPA) presents CodeHouse. CodeHouse is a mobile application coding session, that seeks to teach you how to design and develop Windows, IOS and Android phone apps using Xamarin studio. The training session takes place 3rd May 2016 at the AVU Lab, GIMPA, Accra from 2pm to 5pm. For more information and direction contact 0576232897 or 0206600440. Come along with your laptop, which should have Visual studio 2015 & Xamarin tools installed.